Having the right cabin can make or break your cruise experience. 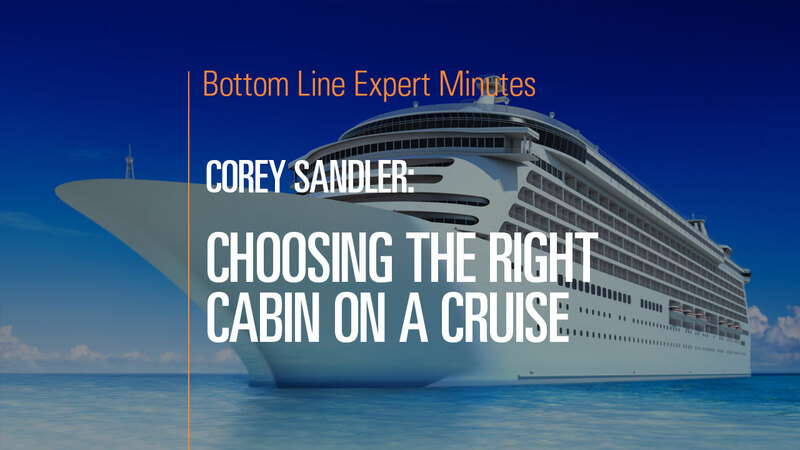 In this video, Corey Sandler, consumer expert and author of Bottom Line’s Secrets of the Savvy Consumer, helps travelers select the right cabin to suit their needs. He cautions that the most expensive and desirable cabins may not always be the most comfortable. For travelers concerned about seasickness, a room located low down and in the center of the ship may be better than one with an extravagant view. Beyond that, he urges travelers to carefully consider their needs when choosing a cabin—a traveler seeking peace and quiet would do well to pick a room away from bars and dining rooms, while someone who is just using the cabin to sleep in after a long day of activities may not share such concerns.